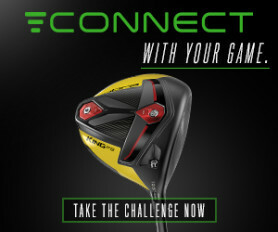 131 ratings & 95 reviews on Golfshake. Ranked 155 out of 2074. What the club says: Set in 177 acres of tranquil Oxfordshire countryside and only 6 miles from the center of Oxford, Studley Wood Golf Club boasts a superb golf course, excellent practice facilities, a 15 bay covered driving range and a sumptuous clubhouse. Our course presents a stimulating challenge for all standards of player. 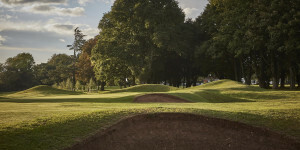 The 18 hole course meanders through undulating countryside with natural woodland at its core and 13 lakes to navigate. Played this with my son as we were staying in the area. Had to call because booking system doesn't cater for juniors, then pleasantly surprised to find my green fee was only £24 compared with £40 online. We arrivdd early and had plenty of time to hit balls on the range, practise chipping and putting, whicn was necessary because the greens are like lightning! We found ourselves behind two fourballs, but this wasn't too bad because we were in no hurry and there was noone behind us. The course has skme excellent holes such as the 3rd, 8th and most of tbe back nine. Plenty of room to open your shoulders, but you need to be in the right place on the fairly large greens. I would on!y mark down one hole, the 2nd, simlly because it is a blind tee shot and we had no course guide or app to help us. There isn't even a marker post to give you a clue about line. The club website doesn't have a course guide which is disappointing. The othe comment I would make is that the course generally lacks definition, but this may be because we are still early in ths season and the grass needs to grow. The result of this made itmore difficult to see the fairways and greens. I would certainly come back, but not before I have learnt to putt better! The course is in tremendous condition. Greens are fantastic. The pace of play was a bit slow . Held up on most holes. BT society was very slow. Always work going on to make improvements,Green?s very fast.fairways being slotted & seeded for improvements can?t wait till Spring when Oak tree are in leaf.Ha ha. Good course with glass greens. Lots of water so encourages straight hitting. A lovely course to play. Some of the views are amazing and the signature 18th, viewed from the elevated tee is stunning. Greens were very true, but incredibly fast! Took some getting used to. My favourite course the region, friendly people, great course and facilities but good value even in summer time. Most enjoyable round of golf, the greens a joy to putt on. Having just had 2 Tournaments one on Sky TV.This course is in very good condition.Greens are best they have been for a while & bunkers have had extra sand added.Younwill not be disappointed & the Club is The friendliest around. Visited today with a friend. We were both very impressed by this course. There is a variety of challenging & less challenging holes. The course is in superb conditions - my colleague observed that some of the tees were in better condition than certain other courses we'd visited in Oxfordshire. The greens were like billiard tables, and very well maintained.Highly recommended. A lovely course and one of the best in Oxfordshire. Greens were alittle on the bumpy side, think might have been a bit soft when they cut in the morning.